J-50’s death follows the death of a newborn calf just a couple months ago. The calf’s mother, J-35, was so distraught following the unsuccessful birth that she carried the calf for 17 days, an unprecedented mourning ritual that grabbed the world’s attention. Now, experts fear the pod is on the brink of extinction. 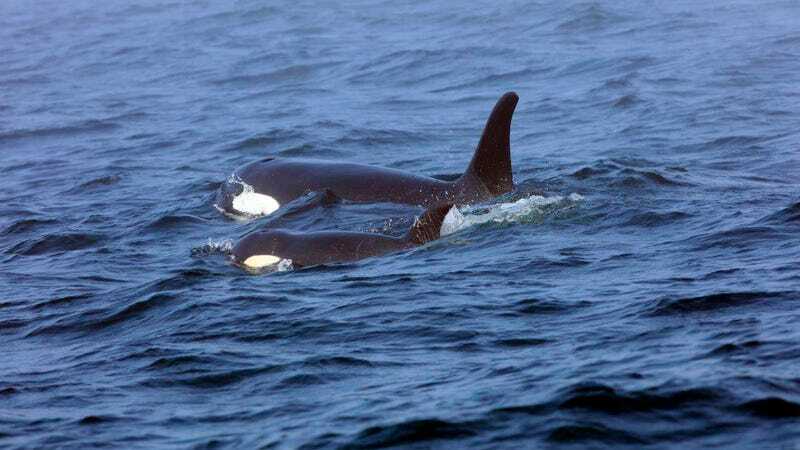 Only 74 southern resident orcas remain. A lack of chinook salmon, their food of choice, is threatening the majestic creatures. Overfishing is messing with the fish population, along with changes to their ocean habitat that are, in part, linked to climate change. Additional climate change won’t help their food supply in the future, and neither will oil and gas development that can spur marine traffic in the waters they call home. The threat these whales face contributed to a Canadian court’s decision last month to order a new environmental review of the Trans Mountain Pipeline Expansion Project planned to run from Alberta to British Columbia. The Natural Resources Defense Council filed suit earlier this month urging the Canadian government to take steps to protect the orcas under its Species at Risk Act. If someone doesn’t do something soon, help may arrive too late.